The enormous importance of the nasal features is explained by the position of the nose in the middle of the face and that influencing the balance of all the features around. The nasal hump changes the lightening of the eyes, and elevates the facial tissue making the face “to turn sour“. Furthermore the long nose covers the upper lip and influences the smile. A thick or wide tip affects the look of the whole face. Not of less importance is the function of the nose because it filters, warms and wets the air we breathe. If the airflow is not sufficient due to deviation at any part, the patients suffer from headaches, frequent ear and throat infections. Rhinoplasty or nasal reshaping is one of the most commonly performed plastic surgery procedures worldwide. 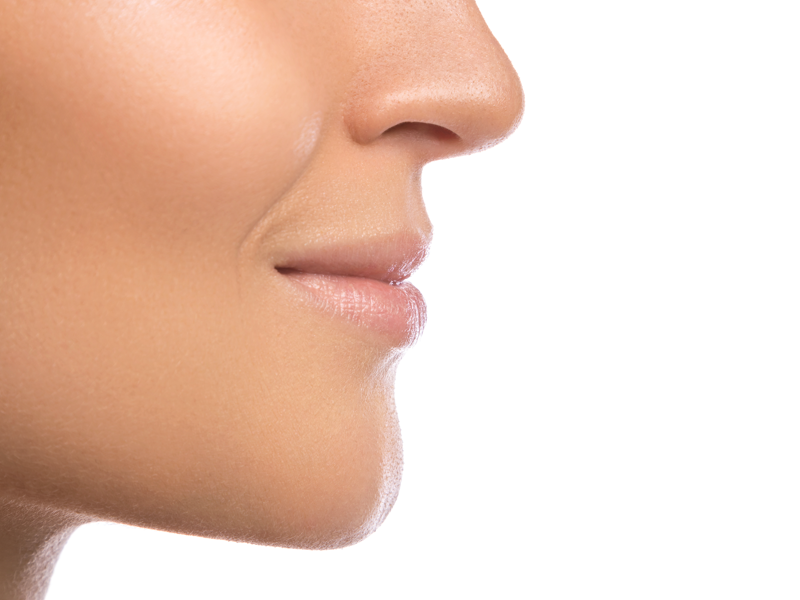 In order to improve the look and shape of the nose the high or large or crooked nasal hump can be removed. The narrowing of the nasal tip or the nostrils and many other delicate procedures can be performed to achieve balance of the facial deferent features. We always evaluate the structure of the nose and face, we discuss in detail the patient’s expectations and together we choose the solution. Incisions are made inside the nostrils. Internal nasal surgery to improve breathing can be done simultaneously. The septum, which is the dividing wall between the air passages, may be deviated, causing nasal obstruction. To improve the nasal airway, the shape or position of the septum may be corrected at the same time. We always recommend to the patients that the problems should be solved simultaneously because each procedure helps to give a better result of the other. In other words postponing the operation of a part of the problems, might lead to inferior results additionally to lost time, money and being once again operated. Factors that determine the final results include the structure of the nasal bones and cartilage, the shape of the face and the thickness of the skin. Cosmetic nose surgery may be performed on female patients as young as 15 or males as young as 17. However, we need to make this determination during a consultation and estimation of the problems. For anxious patients, general anaesthesia is recommended. For calm patients local anaesthesia may be used. After a medication that achieves complete mental and physical calmness, local anaesthesia can be used to perform a comfortable and painless procedure. This combination provides the best conditions for the surgeon and the patient’s recovery as well. The procedure takes approximately one-two hours to complete. Depending upon the procedure performed, a splint is applied to the nose to help the healing and to maintain the given shape. In our experience it is always possible to remove the splint within 8-10 days. Following surgery swelling appears at the central part of the face and bruises at the eyelids. These are temporary and of course painless! Although the swelling disappears completely after several weeks, our patients experience very good appearance, with very little swelling 10-15 days following the operation. Most patients can return to work or school within 2 days following surgery if the splint and swelling of the lids is not bothering them. If so, then they may wish to return after 10 days when the splint is removed. Exercise and other strenuous activities may be resumed in approximately 3 weeks.